Go beyond the tasting room and unearth the secrets of Chateau Yaldara with the ultimate fortified master class. Begin your journey, glass of sparkling in hand, with a private tour of the Estate with our wine room ambassador. Then don your apron and head to our lab to learn the art of fortified blending and sparkling red dosage. 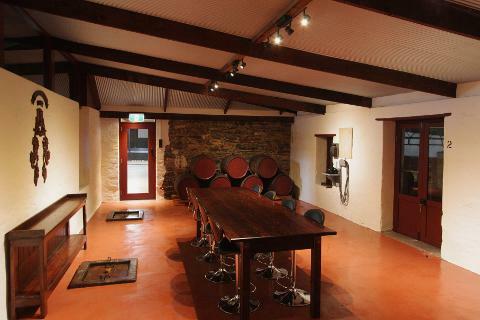 Afterwards, it’s time to relax and enjoy a leisurely lunch in ‘Chappy’s Chapel’, our intimate tasting room built on top of the original underground tanks. Indulge in a spread of South Australia’s finest charcuterie, cheese and garden produce whilst our chef prepares a tailored menu, fresh off the grill. Let out your belt and finish the afternoon with a fortified and chocolate flight that will challenge your taste buds.